From the Orange Prize winning author of We Need to Talk About Kevin this is a novel about what it takes to make it in music. How charisma is worth its weight in gold. And how jealously can grow until it has eaten away at a musician's heart. He has that thing that they'd all pay for but can't buy: on stage and off, the 19-year-old rock drummer Checker Secretti is electric. When he plays with his band The Derailleurs, the natives of Astoria, Queens clamour for a piece of him. But charisma comes at a price. A Salieri to Checker's Mozart, the fiercely envious fellow drummer Eaton Striker is eager to sow discord among the Derailleurs, that he might replace the exasperatingly popular goody-goody in the close-knit neighbourhood's affections. 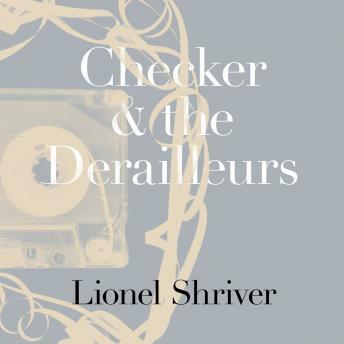 An examination of the passion, the jealousy and the friendship of young musicians trying to break out, Checker and The Derailleurs is also about cycling, rock lyrics, glass blowing, the marriage of convenience, and-most of all-the mystery of joy.